The USA-based artists and collaborators of the group exhibition Precipice have created an exhibition that uses the Icelandic landscape as a vehicle, or jumping off point (precipice) to prompt thoughtful deliberation on universal concerns. Each artist has allowed Iceland’s landscape to infiltrate into the content of their art practice while conducting fieldwork or participating in Icelandic artist residencies. The works, of varying mediums and theoretical approach, promote multi-faceted interpretations, yet often cross paths in areas concerning memory, perception, representation, consumerism, climate change, and sustainability. The installation format, including the use of wall text, encourages broader conversation regarding our perceptions of landscape as a natural, cultural, and politicized entity. The artists wish to serve as alt rogue ambassadors (#altgov) for the USA, among the many in opposition to the current Trump administration’s attack on science and intellectualism, which unless resisted could very well jeopardize life on this beautiful planet. Rollins College, Winter Park, Florida, USA. Deiglan, Listagil / Art Street, Kaupvangsstræti 23, Akureyri, Iceland. Both the opening reception and exhibition are free and open to the public. 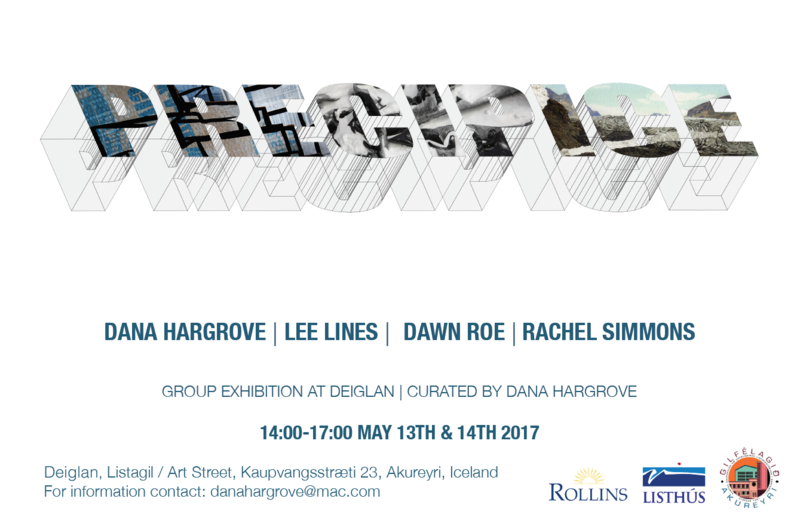 This exhibition is brought to you by the artists, Rollins College, Listhus Artist Residency, and Deiglan, Listagil, Akureyri.